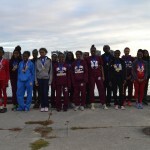 On a perfect autumn afternoon for running, Western International senior Juan Flores and Pershing junior Jaishala Seal completed perfect seasons as the 2014 Detroit Public School League boys’ and girls’ cross country gold medalists. 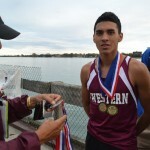 Flores became a three-time PSL boys’ cross country champion Wednesday at Belle Isle, finishing the season unbeaten in six 5,000-meter races with a league championship meet winning time of 17:26. 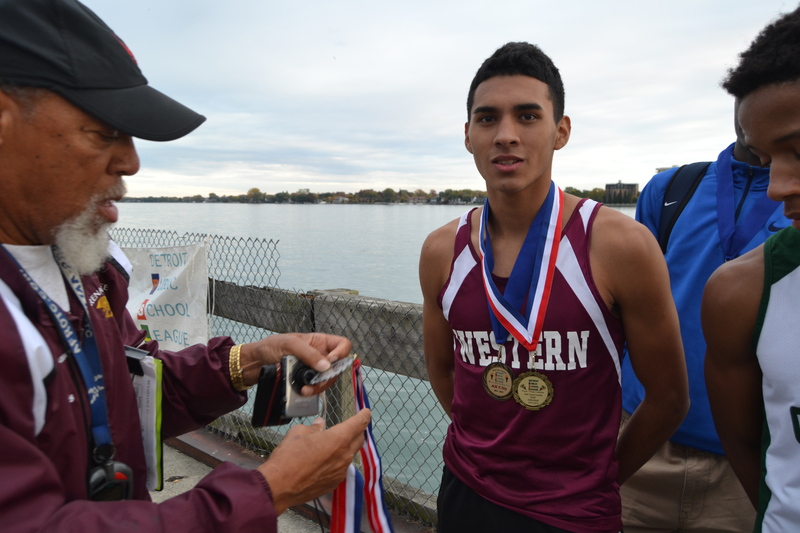 Cass Tech’s Brett Dooley (17:33) was silver medalist and Western sophomore Yeray Flores, Juan’s younger brother (18:05) took the bronze. 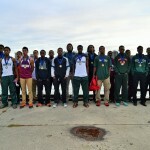 Cass Tech’s boys won a repeat team title with 42 points followed by Western 85, King 90, East English Village 105, Renaissance 178, Douglass 180, Pershing 217, Ford 256, Southeastern 303 and Osborn 336. 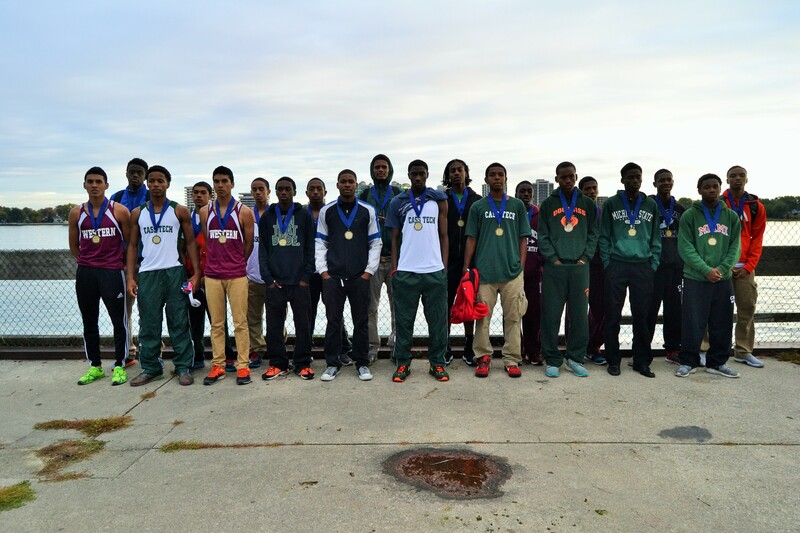 Western finished as the West Division boys’ champion based on its overall performance in five league Jamboree meets. 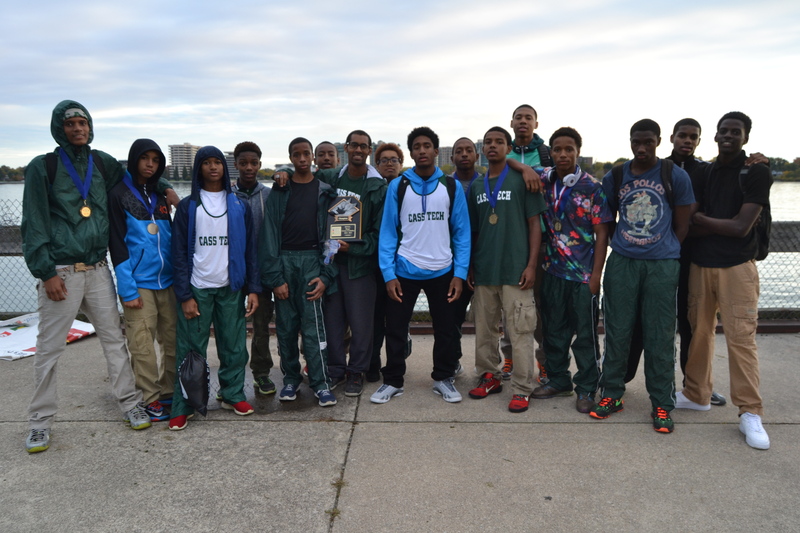 East English Village won the boys’ East Division title. 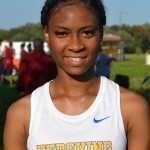 Seal, competing in her first year of cross country, timed 22:06 to win her sixth consecutive race on the challenging Belle Isle course and top off her claim as the girls’ undefeated gold medalist. 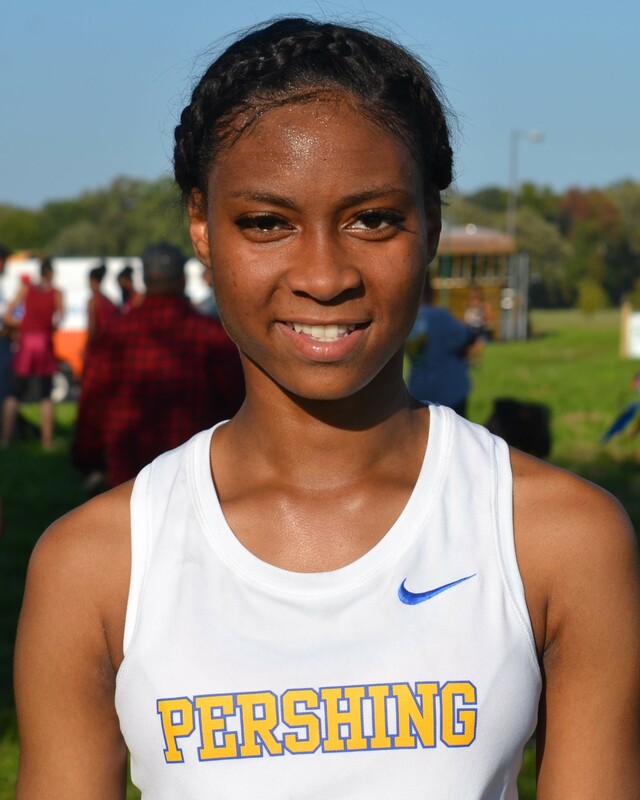 DCP-Northwestern’s Tameisha Patton (22:11) ran strong to take the silver medal and Pershing junior Renita Williams (22:15) took the bronze. 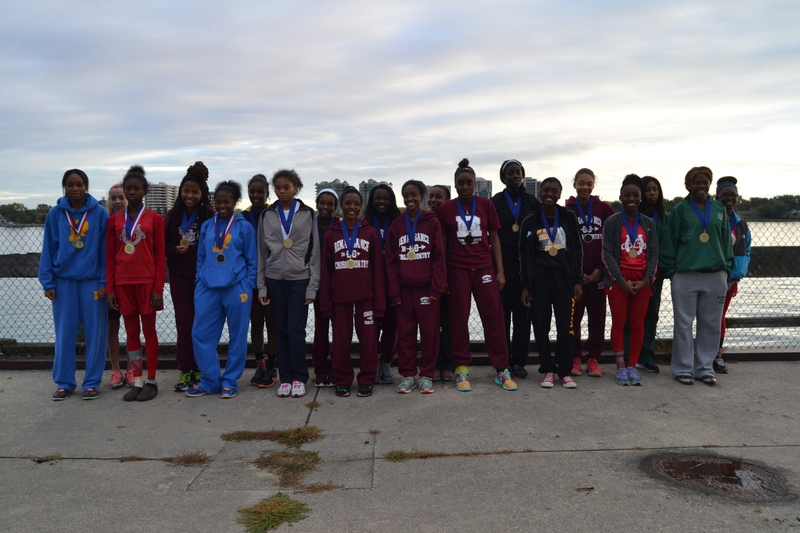 Renaissance won the girls’ team championship for the fifth year in a row, scoring 44 points to finish ahead of DCP-Northwestern 67, Pershing 74, Western 115, Cass Tech 121, King 129 and Ford 291. 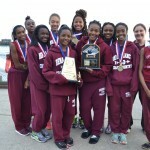 Renaissance also won the West Division girls’ championship based on its overall performance in the league’s five-week Jamboree meet season. 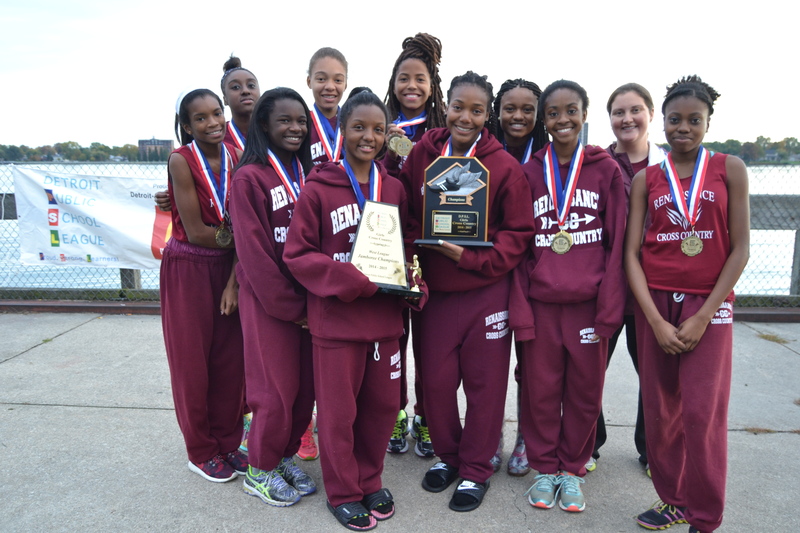 Pershing, led by Seal’s victories in every meet, won the East Division girls’ title.